Since 2003 we have had a very active forum. It has served us well, and we used it for MANY things. Planning events, sharing photos, and other various modes of online conversation. By June 30th, we will retire the forums for new membership and will make them public for research purposes. Facebook implemented groups a couple years ago and they have since replaced forum life as we know it. We will be making the forums an archive and as such will be retiring the forums for new membership. We encourage you to like the facebook page and join our VERY active COS Group. The blog will also become the main page and probably updated a littel more regularly by myself. As with all things we must grow to keep up with technology. Thank you for being part of our lives and joining us in this next chapter of technology! 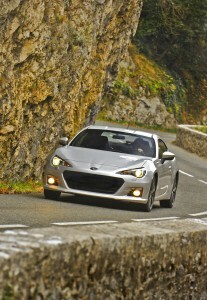 CHERRY HILL, N.J., April 5, 2012 – Subaru of America, Inc. today announced pricing for its much-heralded 2013 BRZ. Starting at $25,495 for the Premium model with a six-speed manual transmission. The six-speed automatic version starts at $26, 595. Premium models come standard with touch-screen GPS Navigation, Bluetooth® connectivity and HID headlamps. Above the well-appointed Premium model, Limited models add Alcantara seat inserts with leather bolsters, heated seats and mirrors, dual-zone automatic climate control system, fog lights, Keyless Access & Start and body-color decklid spoiler. Limited models come equipped with leather seats and start at $27,495 when equipped with a six-speed manual transmission and $28,595 for automatic versions. The Subaru BRZ arrives in Subaru dealerships this spring after receiving strong media praise for its handling and fun-to-drive persona. The 2.0 liter naturally aspirated BRZ delivers pinpoint handling precision and an unmatched driving experience for sports car enthusiasts of all skill levels. Subaru developed the BRZ with three fundamentals of sports car design: low vehicle weight, an ultra-low center of gravity and precision steering. Utilizing Subaru’s naturally aspirated 200 horsepower horizontally opposed (Boxer) engine design, BRZ is a sports car that does not sacrifice everyday comfort and practicality. Prices are MSRP before $750 destination charge. Article Translated by Google Translate-Subject to interpretation. And FR sports car, Subaru has attracted the attention of many days that it ‘s also a model of joint development with Toyota Motor Corporation “BRZ” of (FHI). Presentation of the concept model, although the information will be exposed on a piecemeal basis and the exhibition of models in development review, and at the Auto Salon motor show, fans should not fret did not come quite to the release is not negligible. However, the decision on March 28 release date finally. As to deliver, etc. and reviews BRZ “” “see in the picture” for such mechanisms.Be familiar with, I care and will price, grade and equipment. Grade will be provided in all three types. Optimal “RA” in the base model of the dress-up competitions and: become a middle model plus the comfort (MT-speed six yen 2,058,000), the RA “R” MT speed (6: £ 2,478,000, AT 6-speed: £ 2,546,250 ), Model “S” superlative was also equipped with enhanced driving comfort in addition to speed MT (6: £ 2,793,000, AT 6-speed: £ 2,871,750). Key part of the engine and body, power train to become common, will be equipped with the difference that only the contents. In this article, we introduce the grade “RA” cheaper version. For “S” grade “R” and is scheduled to deliver separately. Equipped with a colored bumpers, while the cheapest grade, is it price of yen and 2,058,000, RA this grade. Transmission 6MT only will be set. And the price difference (MT 6-speed) is to be positioned as a middle grade 420,000 R yen. The difference is that the dark-colored glass air conditioning, aluminum wheels, electric retractable colored door mirror, large muffler cutter and provided with UV, speakers (2), Walk-in sliding passenger seat, out the side door handle (→ colored black), inner door (2 → 1), trim / room lamp / mat Sun visor vanity mirror, trunk, floor silencer, a red handle intake manifold cover stitch (→ Black plating), door trim, front seat removable cup holder, DC12V power socket which is not installed. ”It does not tell the air conditioning is not painful -” I might think, okay so that option is set. Since it is almost non-decorative parts, but the looks of it, even if at a later time. However, if you take into account the presence or absence of set up options, including the Torusen LSD, 16 inches front brakes, and rear ventilated disc brakes, standard equipment and options, with R in S becomes unconfigured. Might be areas of concern when it comes to focus on running. Another part will also be added body color limit. BRZ is to have all seven colors are available, but only three colors to choose in the RA “Satin White Pearl” “Crystal Black-silica” “WR Blue Mica”. But also sort of sad that a popular color because the user has been maintained, it should not be so to the disadvantages. Grade based on multi-part does not seem to reverse some people. Per remote control door lock and HID headlamps, ABS with EBD, VSC (Vehicle Stability Control), and dual and side and curtain airbags as standard equipment. Even an electric adjustable door mirrors he although not what electric store. In the world is, “AE86″ that had been put on the market but are fresh musical accompaniment and high, high (compared to the Corolla Levin / Sprinter Trueno fifth generation), the model of the time is equipped with such because he ‘s not, just never ever ” I find that is not high “. But even so, there is no change close to 2,800,000 yen and 3,000,000 yen also be familiar with the S model and superlative, that it is still expensive. It shows that there is attention there is, he that this RA. Adding air conditioning might be required and applications must be pure competition, because the basic equipment has been enhanced as described above, is sufficient after the tires & wheels of their favorite design or brand say so. Navigation and audio from the speakers just stick in the higher grades, such costs in either case. It is a translation that if I pull the wiring re-select the speakers you like, the cost does not change at all. The car weighs more (1,230 kg) is lighter and a little bit of R 1,190 kg (1,210 kg), S the way. But it can happen that there will be no longer change with the air conditioning and would, be glad if you say focus on the running point. Figures have been better (12.4km / L) S and (13.0km / L) R and 13.4km / L in JC08 mode fuel economy of course. Personally, I wanted it but also aims to lower prices further and keyless omitted HID, such as side air bags, to ensure the safety part is that to achieve low cost by reducing the variation of course from a certain place would be, can not say unconditionally. Still, no doubt that it is a sense of this high grade RA AIM installed. 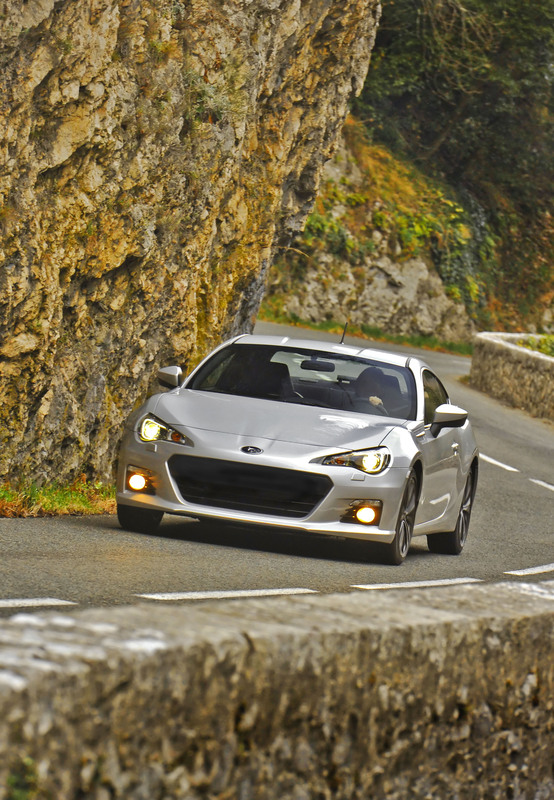 I would not be suggesting it may be said to be low-volume production per unit to BRZ certainly in comparison with the Impreza and Legacy, are provided this grade, the degree of seriousness manufacturer. Specification does not cover the intake manifold is mounted to the other grade, Subaru and Toyota’s brand double. That size when you put the hand down to the engine anyway, so take off, be good if there is no better care of here!? Or for weight reduction, because I do not know how well the battery cost down Wheel, but “iron chin” rare now, equipped with a center cap for some reason. Tires 205/55 R16 Yokohama “dB E70” many adoption cases for mounting as a new car.Tires together with R grade Tail type dual muffler looks simple. The difference is it’s only the presence or absence of the muffler cutter, I’ll, surely they replace? CHERRY HILL, N.J., Jan. 18, 2012 /PRNewswire/ — Subaru of America, Inc. Subaru Rally Team USA (SRT USA) announced today that David Higgins, the 2011 Rally America National Champion will continue as factory driver for the team in 2012 in a bid to defend his title. Higgins and SRT USA begin the 2012 Rally America National Championship at the season opener Sno*Drift Rally in northern Michigan, Jan. 27 and 28 against a stacked field of over 70 entries. Co-driver Craig Drew will once again join Higgins; the duo will pilot a Vermont SportsCar-prepared 2012 Subaru WRX STI in all six rounds of the 2012 Rally America National Championship. 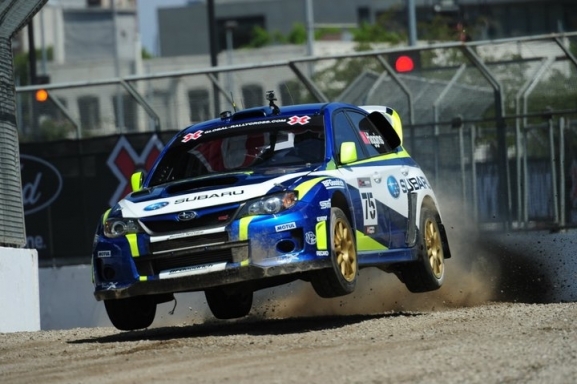 X Games icon Dave Mirra, Higgins’ Subaru teammate in 2011, is expected to continue to drive for Subaru but will focus on the Global RallyCross Championship, because of several conflicting dates with the Rally America Championship event calendar. An announcement about the team’s rallycross plans will be made in the near future. Higgins joined Subaru Rally Team USA at the start of the 2011 season, and had an impressive year at the wheel of his Subaru WRX STI, earning three victories and two-second overall finishes in the six-event 2011 Rally America National Championship; as well as claiming victory and a new record at the famed Mt. Washington Hillclimb. The 2011 Rally America driver’s title was the third for Higgins in the USA having won the SCCA ProRally Championship in 2002 and 2003. Higgins also won the British Rally Championship in 2004 after winning the Group N title in the British Rally Championship in 1997, 1999, and 2002. As a testament of his passion for the sport, Higgins and his family also operate a UK-based training facility, The Forest Experience Rally School. Higgins was born on the Isle of Man but resides in Wales with his wife and two children.